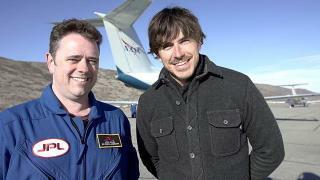 When will be Arctic Live next episode air date? Is Arctic Live renewed or cancelled? Where to countdown Arctic Live air dates? Is Arctic Live worth watching? Arctic Live is a three-part series exploring the planet's last undiscovered wilderness.Every autumn, polar bears gather on the shores of Hudson Bay in Canada to wait for the sea ice to form, so they can begin their winter hunt. And every year, they're waiting longer. 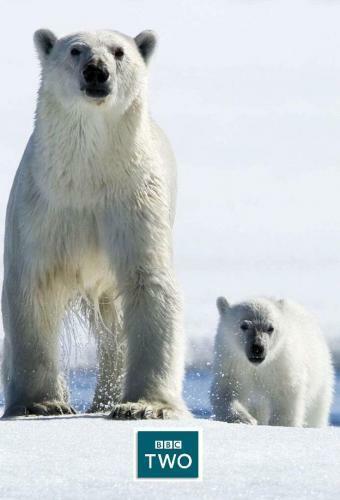 In one of BBC Two's most ambitious live broadcasts, Gordon Buchanan, Kate Humble and Simon Reeve head north to Churchill, Canada, to follow the remarkable story of not just these bears, but the entire Arctic to see what life is really like on top of the world.Vast and stunningly beautiful, the Arctic spans eight countries and over five million square miles of frozen ocean. As temperatures rise it has become an increasingly valuable battleground: shipping routes are opening up, and oil, gas and minerals are tantalisingly within reach. Tonight, Simon travels to an unspoilt corner of Greenland that could become one of the biggest uranium mines in the world - a decision that's dividing the community - while Kate follows the oil money that's shaped Alaska and the bitter battle over offshore drilling. Award-winning wildlife cameraman Gordon may already have come face to face with polar bears in Svalbard for The Polar Bear Family And Me, but in Churchill he learns how to live in a town where the world's largest living land carnivore is right on your doorstep. The team will be live on the tundra to bring viewers the very latest from the bears. In tonight's episode, Gordon meets the Polar Bear Cops tasked with keeping the town safe. Kate heads to Sweden to see how the largest underground iron ore mine in the world is impacting the Sami reindeer herders and Simon joins the intrepid NASA scientists monitoring the melt of Greenland's glaciers. The team is also monitoring all the live action from the bears, who are waiting patiently to head out to their winter hunting grounds. In the final episode of this brand new series, Gordon Buchanan, Kate Humble and Simon Reeve continue to explore the planet's last great wilderness - the Arctic. Broadcasting live from the shores of Canada's Hudson Bay at the peak of polar bear season, the team discover what life is really like on top of the world, and ask what the future could hold for this incredible part of our planet. Tonight Kate meets the Inuit artists inspired by the changing world around them, while Simon heads off to Norway on a fishing expedition - Arctic style - as well as venturing deep into the heart of Siberia to track Russia's history, from Gulags to gas. In Churchill, Gordon finds out how the town deals with their more troublesome bears when he follows the eviction of a repeat offender. 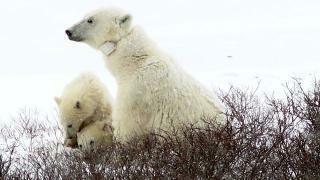 Plus, live from Hudson Bay, the team check on the bears. How long before they can head out to hunt? What happens if the ice continues to melt? And what wider implications does this have for us all? 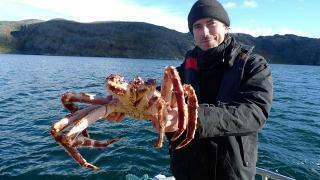 Arctic Live next episode air date provides TVMaze for you. EpisoDate.com is your TV show guide to Countdown Arctic Live Episode Air Dates and to stay in touch with Arctic Live next episode Air Date and your others favorite TV Shows. Add the shows you like to a "Watchlist" and let the site take it from there.